It’s one thing to say that art is everywhere, it’s another to actually find it. Within Fort Lauderdale, art is found not just in the museums and galleries, but in the slow passage of time and the changing of technology. The NSU Art Museum proves this with two events and a gallery showing that teaches art critics how to find the art in the everyday. Learn To Paint Like an Impressionist. January 25th at 2:00P.M. One of the best ways to understand an artist’s mindset in the creation of their art is to attempt it. Understanding this, an art instructor from the NSU Art Museum, will walk artists through an en plein air session that breaks down techniques adopted by members of the Impressionism movement. Attendees will craft their depiction of the Historic Stranahan House Museum while on-site. As they create their painting, they will recognize techniques used by William Glackens and fostered by the likes of Pierre-Auguste Renoir during the Impressionism movement, such as the creation of images being centered around color and the artist’s emotions towards the subject, rather than directly replicating its form. It’s through this approach that artists can begin to understand the artist’s thought process. 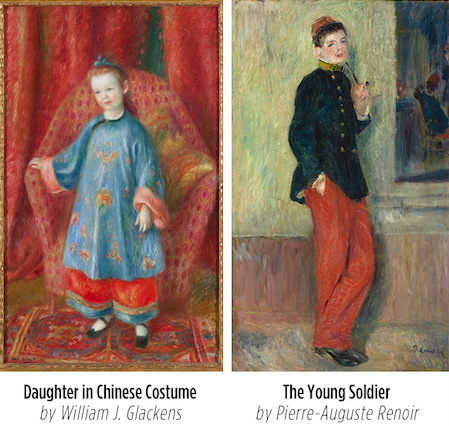 The works of turn-of-the-century artist William J. Glackens and Pierre-Auguste Renoir are not unfamiliar to the art world. Indeed, Glackens’s art has previously graced the halls of the NSU Art Museum. What is rarely explored by contemporary critics is Renoir’s influence on Glacken’s works, and the dialogue that the two creators have regarding nature and technology. This exhibit considers the connections between American Glackens’ depictions of a then-modernized America and Renoir’s Impressionism-style pastoral scenes, and show the balance that was established between the natural and the mechanical. As auteurs study these greats’ art, they’ll find parallels between the painted depictions and their own lives in the city. Café Society Book Group: In Full Flight. March 14th at 3:00P.M. Every month, the Café Society Book Group selects a piece for their members to read that connects to certain showings and works. This month’s selection is In Full Flight, by John Hemingway. Crafted from the diaries, notes, and recollections of Dr. Anne Spoerry, this biography explores the possibility of atoning for past actions with present behavior, and what that would encompass. The book can be purchased in the museum gift shop beforehand. The very foundation of Fort Lauderdale is rooted in art. From the communication between nature and technology found in a flower poking through the sidewalk cracks to a historic location being reinterpreted into the thoughts and feelings towards it, there’s something for creative types to enjoy everywhere. One particular dialogue that continues to captivate audiences is the one held between the structures that dominate the city and the natural world. Banks, business complexes, and residence towers help connect the denizens of the city to the life around them, while architecture recreates and intertwines nature and natural imagery into the construction of the building. The most modern buildings will combine both in an effortless way. 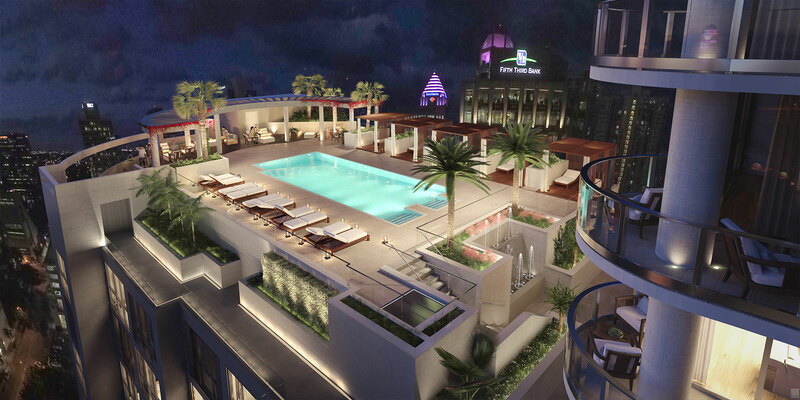 Developed by The Kolter Group, 100 Las Olas’ 113 private residential condominiums will start on the 16th floor and rise to 499 feet with dramatic city views. Completely separate from the private residences, the lower levels will include private garage parking and a Hyatt CentricÒ hotel with a lobby level restaurant and bar featuring indoor and outdoor seating, and 8,500 square feet of retail space. As the only for sale condominium in Downtown Fort Lauderdale, 100 Las Olas is offering 2- to 4- bedroom/2.5- to 4.5-bathroom residences from the $800s with floor plans ranging from 1,811 sq. ft. to 5,281 sq. 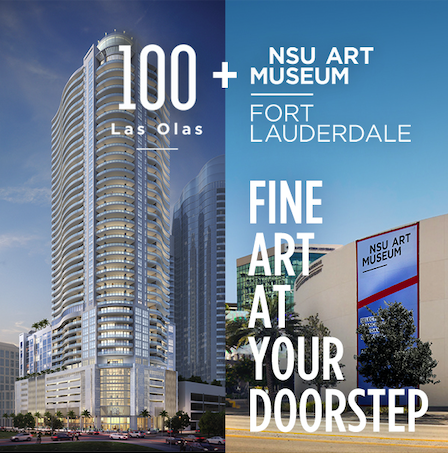 ft.
Enviably located directly on Las Olas Boulevard, 100 Las Olas Boulevard is just 10 minutes from the Fort Lauderdale Hollywood International Airport. The Sales Gallery is open daily and features a full-scale architectural model and designer kitchen. To preview the floor plans and the latest construction updates, visit OneHundredLasOlas.com or call 954-800-6263 to schedule a private showing.